US Democratic presidential nominee Clinton on different occasions during her election campaign pledged to increase the US influence in the Middle Eastern region, to create safe zones inside Syria, increase pressure on Syrian President Bashar al-Assad and boost support to the armed opposition. “Clinton is disquieting because [US President Barack] Obama had taken lessons from Iraq and Afghanistan failures. Clinton knows it too… but she seems to be thinking in simplistic terms of religious identities and ethnicities to define her foreign policy. So I fear she could destabilize Egypt and try to favor a federal solution for Syria… which is a seed for endless wars between groups,” Dhuicq said. During her tenure as secretary of state, Clinton voted for the US invasion of Iraq in 2003 and supported the idea of arming and training Syrian rebels in 2012. She was also a vocal supporter of operation in Afghanistan in 2009. 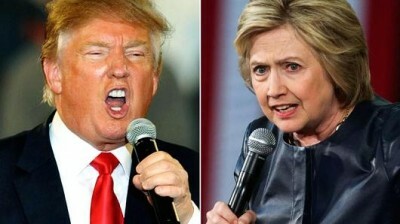 Clinton, who seems to favor use of force based on the list of her foreign policy priorities that imply possible use of US military, is much more dangerous to the world’s peace and security than her Republican rival Donald Trump, Alexander Neu, a member of the German parliamentary committee on defense told Sputnik. “In my opinion, Clinton might be much more dangerous for the world peace and security than Trump. But both candidates are a mirror of the American society,” Neu said. The US presidential election is set for November 8 with Clinton and Trump being two major contenders for the presidency.